Do any of you have a brother or a sister? How are you getting along with him or her? Do you have the same likes and dislikes or different? Today, we will study about twin brothers. Remember Isaac and Rebekah? Isaac prayed to the Lord for Rebekah and she became pregnant. When she gave birth, she had twin boys. The first to come out was red and hairy so he was named Esau. The second was holding to Esau's heel so he was named Jacob. When they grew up, Esau became a hunter while Jacob was quiet and home bound. Esau was Isaac's favorite, while Jacob was favored by Rebekah. One day, Esau came home from hunting very hungry. Jacob was cooking some stew so Esau asked for some. But Jacob said, "First, sell me your birthright." (Birthright means a double share of the father's property upon his death. Usually, the oldest son gets this status or privilege.) Because Esau was very hungry, he said "What good is birthright to me if I am about to die." So, he sold his birthright to Jacob. Jacob, then gave Esau some bread and stew. 1. How do you describe Esau? Jacob? Are they the same or different? 2. Do your father or mother have favorites among your siblings? How do you feel about it? 3. If you were Jacob, would you ask for your brother's birthright? Why? 4. If you were Esau, would you sell your birthright? Why? 5. What can you say about the relationship between Esau and Jacob? good or bad? with jealousy? with fighting? 6. How is your relationship with your siblings? Do you love your brother or sister even if he or she is different from you? How can you show your love? 7. What lesson have you learned from Esau and Jacob? Origami heart: Since this lesson teaches about loving siblings, the kids may like to learn how to make an origami beating heart. There is a YouTube video of how to make this in this link. Origami Photo frame: The kids can make this simple origami photo frame where they can put a picture of themselves and their siblings. Jacob and Esau coloring page: Find on this page coloring pages telling the story of Esau selling his birthright to Jacob for stew. 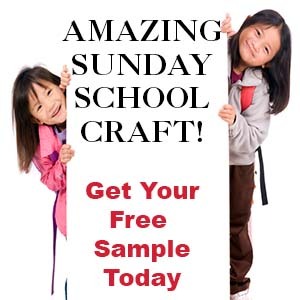 "Sunday School Lessons For Kids" has been included in this weeks A Sunday Drive. I hope this helps to attract even more new visitors here. Thank you very much FishHawk for the mention of my blog in your Sunday Drive. Have a blessed day.